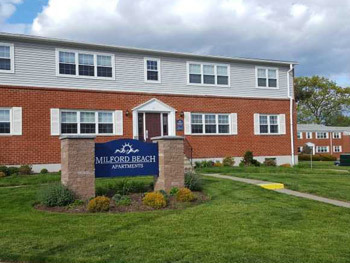 We want your life at Milford Beach Apartments to be as enjoyable as a day at the beach. With gleaming hardwood floors, spacious closets and private balconies you will experience a picturesque landscape in a quiet, peaceful beach environment. Unlike some communities, you will not get charged for sewer, garbage, recycling, heat, hot water and cooking gas. We have recently installed energy efficient windows, vinyl siding as well as insulation in the attics to save on energy costs. 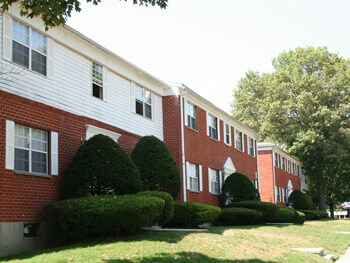 We are just footsteps away from Long Island Sound, shopping, schools and Silver Sands Park. You will have a relaxed frame of mind and unwind whether it's fishing off the nearby pier, floating off our private beach and strolling down the boardwalk . Please call our leasing office for more information. With the perfect combination of serene, lush landscaping and the conveniences of city life, you will find life is better at Newport Apartments! 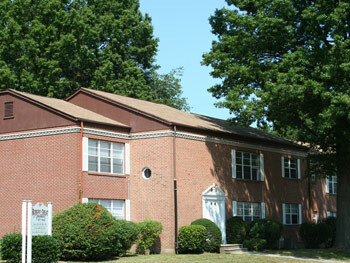 Newport Apartments of Milford offers spacious brightly lit one-and two-bedroom garden style apartments with open floor plans and private balconies. When ready to explore, outdoor lovers can enjoy a stroll along silver Sands boardwalk, take a dip in our resort-like swimming pool, fish off the nearby pier and much more. Enjoy being just steps away from limitless shopping, dining, and all of the entertaining options that Milford has to offer. Our maintenance staff is available 24 hours a day, allowing you worry-free living. Flexible lease terms available! Extremely well maintained apartments situated on 8 landscaped acres all nestled in a very quiet part of town away from city noise and traffic but easy to commute! 1 and 2 bedroom apartments are very spacious with an abundance of closet space.